Scattered about the park, the earthcubes reference the manipulation of natural habitats and natural material into manmade forms and ideas. 18 are placed all over the park, almost providing a path or directive to find the next one. 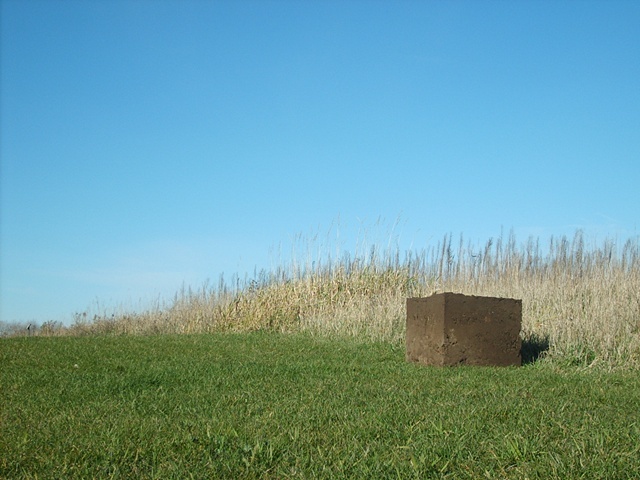 The material of the cubes comes from the earth and then is eroded and restored to the earth, just like everything built eventually will be. Their evident ephemerality is intended to comment on the need to make things permanent. Materials are constantly being moved and reformed only to eventually return to the source from which they came.